Obama on raid: "Had (Osama bin Laden) not been there, then there would have been some significant consequences." The president says he lost no sleep over "taking bin Laden out"
Washington (CNN) -- Sending U.S. troops on a dangerous mission to get Osama bin Laden was worth the risks, even though it was not certain the al Qaeda leader was in the Pakistani compound, U.S. President Barack Obama said in a "60 Minutes" interview Sunday on CBS. "This was still a 55/45 situation," Obama told CBS. "I mean, we could not say definitively that bin Laden was there. Had he not been there, then there would have been some significant consequences." "Obviously, we're going into the sovereign territory of another country and landing helicopters and conducting a military operation," he said. "And so, if it turns out that it's a wealthy, you know, prince from Dubai who's in this compound and, you know, we've sent special forces in, we've got problems." But the president says he did not lose sleep over "the possibility of taking bin Laden out." "Justice was done," Obama said. "And I think that anyone who would question that the perpetrator of mass murder on American soil didn't deserve what he got needs to have their head examined." The president's biggest worry was that "Murphy's Law applies and something happens," he said. "Can we still get our guys out?" One of the helicopters crashed early in the raid, but Obama said there was "a backup plan." 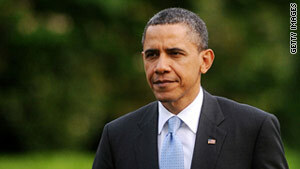 Obama and his closest advisers gathered in the White House Situation Room to monitor the mission in real time, he said. "And it was the longest 40 minutes of my life, with the possible exception of when Sasha got meningitis when she was three months old, and I was waiting for the doctor to tell me that she was all right," he said. "It was a very tense situation." The mission was a closely held secret, with only a few presidential staffers in the loop, Obama said. "I didn't tell my own family." The president defended his decision not to inform anyone in the Pakistani government that U.S. forces were raiding the compound north of Islamabad. "If I'm not revealing to some of my closest aides what we're doing, then I sure as heck am not going to be revealing it to folks who I don't know," he said. Bin Laden likely had a group of supporters within Pakistan helping to keep him secure for years, despite a U.S.-led international manhunt that extended for nearly a decade with Islamabad's ostensible support, Obama said. Top U.S. officials insist Pakistan remains a critical U.S. ally in the fight against terrorism, but are demanding answers to troubling questions about bin Laden's presence in that country over the course of the past six years. "We think that there had to be some sort of support network for bin Laden inside of Pakistan," Obama said. "But we don't know who or what that support network was." The president said U.S. officials "don't know whether there might have been some people inside of government (or) people outside of government, and that's something that we have to investigate." "More importantly," he added, "the Pakistani government has to investigate." Pakistani authorities have "indicated they have a profound interest in finding out what kinds of support networks bin Laden might have had," Obama noted. "But these are questions that we're not going to be able to answer" immediately after the raid on bin Laden's compound. "It's going to take some time for us to be able to exploit the intelligence that we were able to gather on site," he said. Pakistani leaders insist they didn't take part in either the establishment or the maintenance of bin Laden's safe haven, and have promised a full examination of the circumstances that allowed him to spend years in Abbottabad, a city with a heavy military presence located a mere 30 miles north of the country's capital. In the interview taped Wednesday, Obama defended his decision not to release a death photo of bin Laden as proof of the mission's success. "There's no doubt that bin Laden is dead," he said. "Certainly there's no doubt among al Qaeda members that he is dead. And so, we don't think that a photograph in and of itself is going to make any difference. There are going to be some folks who deny it. The fact of the matter is, you will not see bin Laden walking on this earth again."